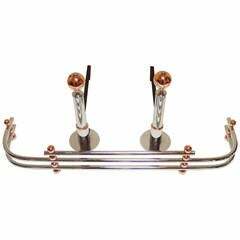 Sorry, Art Deco Copper Dog Andirons is not currently available. Charming pair of Art Deco brass and wrought iron andirons in the form of Pekinese dogs with brass log stops. 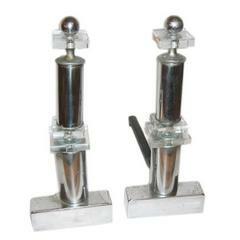 Pair Art Deco Andirons. Fine estate condition. 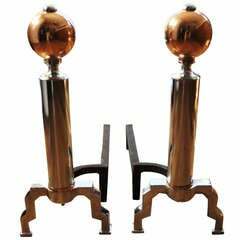 Pair of graceful Art Deco scroll motif andirons in a brushed nickel finish with black iron backs. 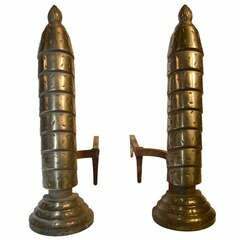 Pair of very stylish polished nickel andirons with fluted finial tops on ionic capital forms.